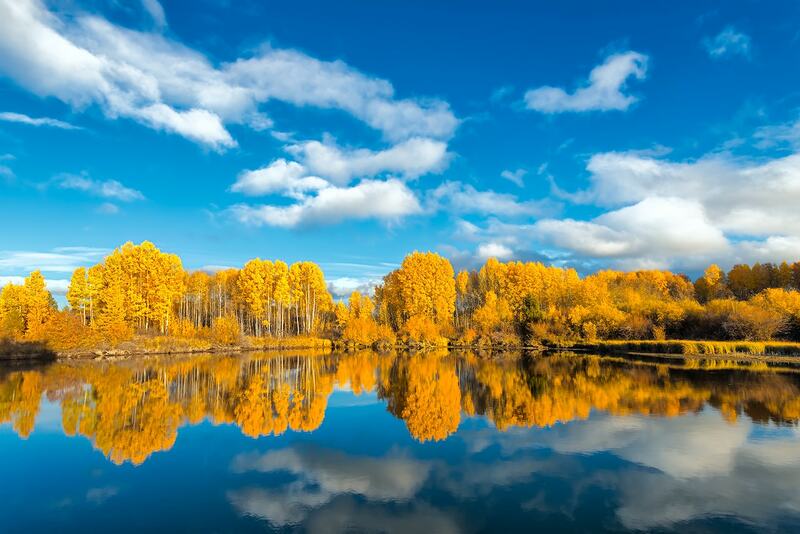 Summer may be over, but fall is a great time to capture stunning photos. 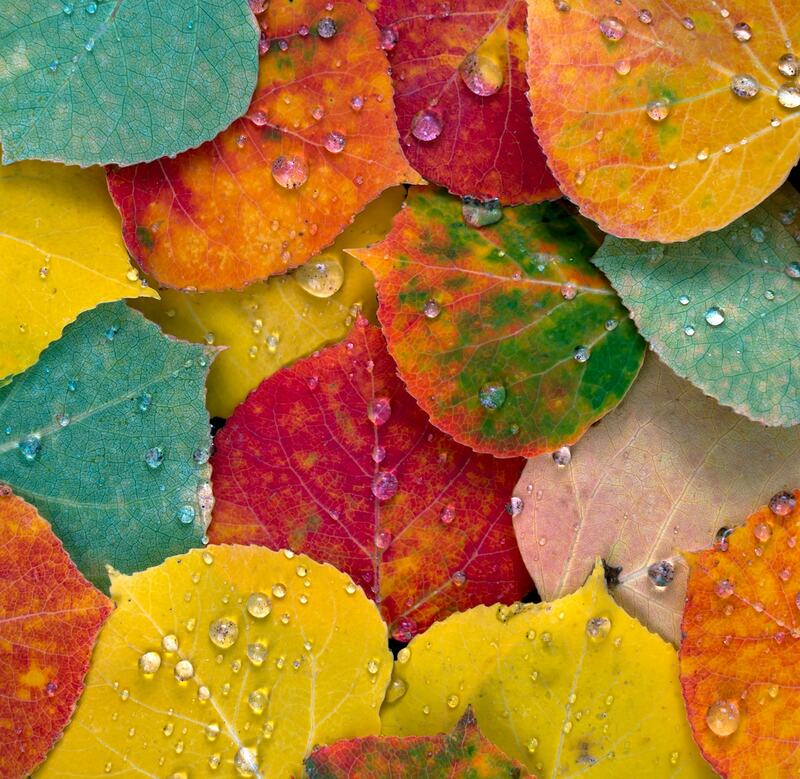 With the shorter days and less sun, the chlorophyl in the leaves — which give them their green hue — breaks down and we’re gifted with numerous colors: reds, yellows, oranges, and browns. For a photographer though there’s more than just pointing and shooting. These tips will help take your autumn photo sessions to new heights. 1. Visit a mountain town. Before the mountains turn white and while you can still walk on hard earth, fall turns mountain towns into colorful basins for vibrant photographs. 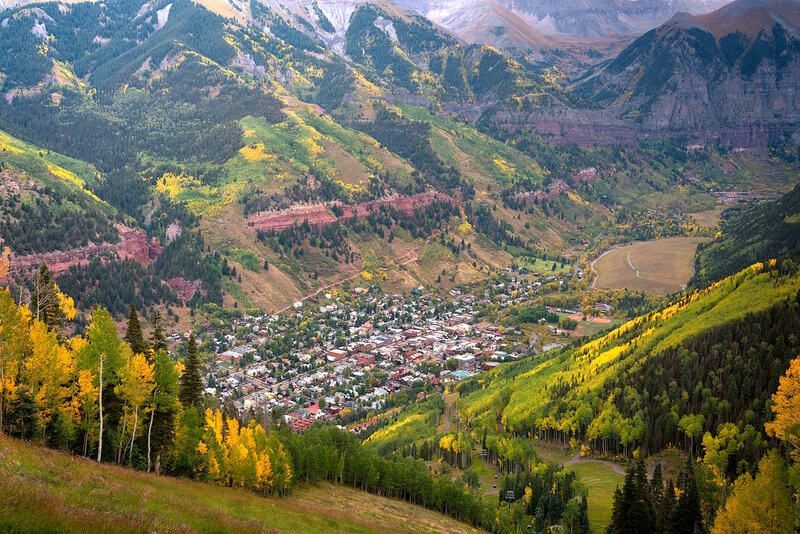 The city of Telluride, Colorado offers a free gondola overlooking this stunning display from 7AM to midnight until October 16th. 2. Go to a Japanese garden. Most major cities have a Japanese Garden waiting to reveal its best colors until fall. Try getting underneath a Japanese Maple with a wide angle lens to uncover lightning-like branches striking out under a blanket of red. 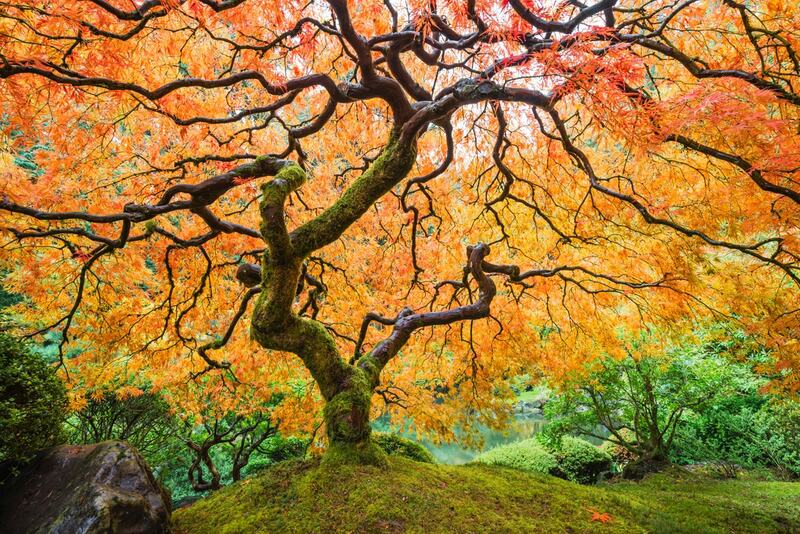 It’s not uncommon to find a line of photographers from all over the world waiting to photograph this famous maple at the Portland Japanese Gardens. With fall migration in full swing, grab your long lens and head to a sanctuary or park. Colorful foliage provides painterly backdrops for patient photographers. 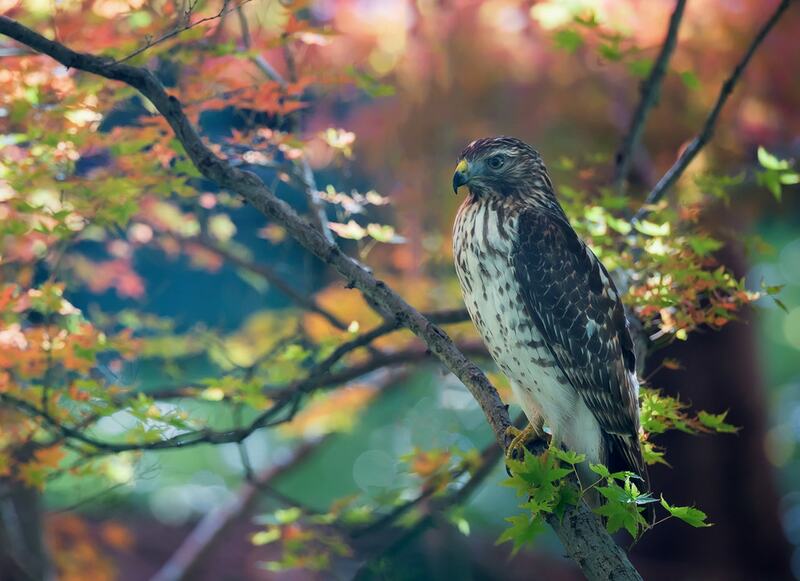 At a park in downtown Ft. Worth, Texas, I played chase with this hawk for 45 minutes before getting the shot I loved. Well after the last leaf has fallen, collages of color lie waiting on forest floors. Make an arrangement or capture leafs as they naturally lie to create mesmerizing photographs. These photos are easiest to take with overcast skies or in thick shade. Blue lakes are the perfect compliment to orange leaves. This small grove of aspens along the Deschutes River uniformly turned a rich yellow-orange before being stripped and recovered in snow only a few hours after this shot was taken in mid-October. 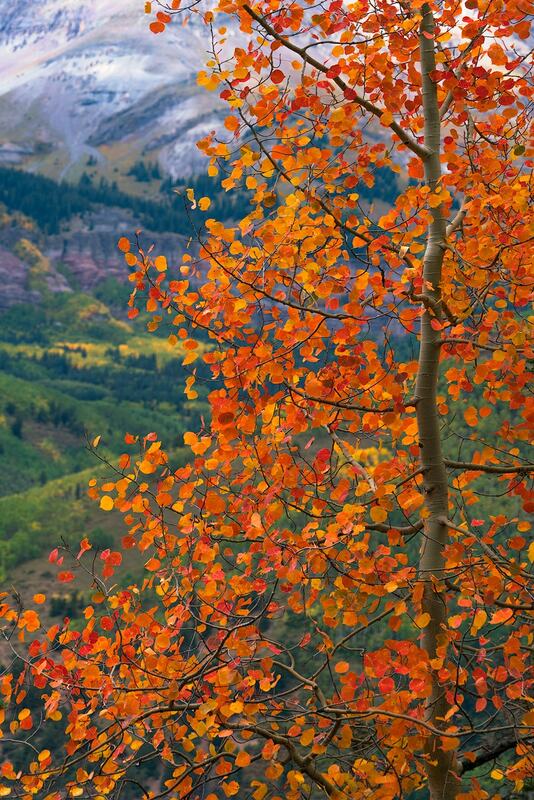 Experiencing fall doesn’t have to mean hiking or camping. 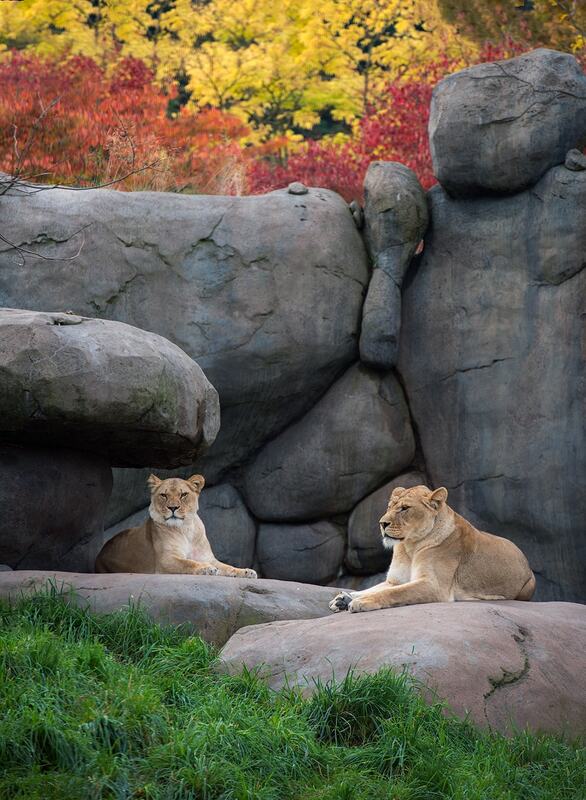 Take a trip to your local zoo to incorporate seasonal color in your animal photographs. he yellow and red leaves in the above image frame the lions in an interesting shot you can’t achieve in any other season. 7. Wait for the perfect light. 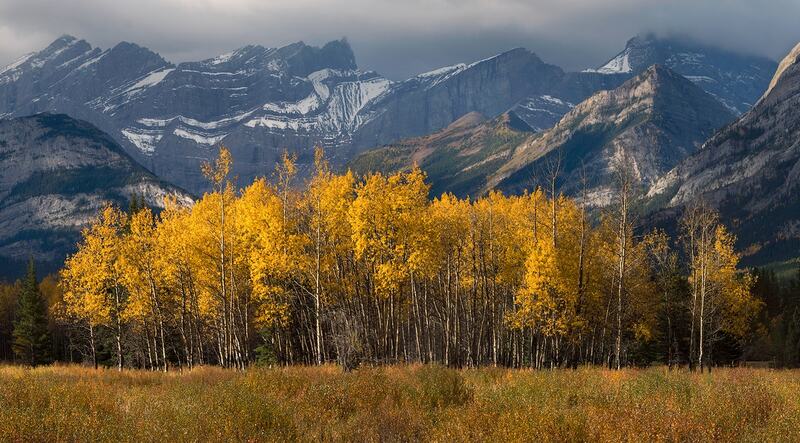 On an overcast day just outside of Banff, Alberta, golden aspens shine in front of towering peaks. With the mountains shaded by thick clouds, I waited until a brief clearing in the clouds allowed for the sun to perfectly illuminate the foreground aspens. Without the sun’s help, the aspens would have looked washed out against the grandiose background. Compositions don’t have to be complex to capture falls’ beauty. 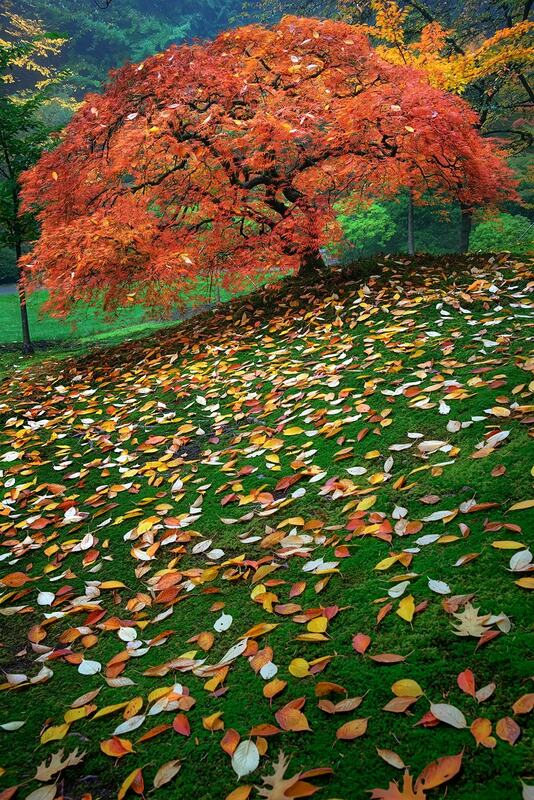 A pattern of vibrant leaves pulls enough visual weight to make a compelling photograph. Pull out a long lens and try making a single tree or even a single branch the dominant subject in a photo. Hovering only a few inches off the ground, I incorporated inviting fallen leaves leading to a striking Japanese Maple. Combining the fallen leaves with the prime red tree, I’m able to incorporate several elements into a cohesive composition that captures the essence of fall.